Kia ora and welcome to our 34th edition. This is the third review in a four-part series on complementary and alternative healthcare in New Zealand. Yoga is a widely recognised form of exercise practiced by millions of people world-wide. This commentary focuses on the evidence for the purported health benefits. In this review meditation and yoga are shown to be scientifically effective alternative therapies for decreasing blood pressure in a systematic review (Park & Han, 2017). Yoga is a low-impact, slow-moving, and easily modifiable activity that makes it a suitable exercise for low-risk pregnant women. The study by Babbar et al. (2016) shows that yoga has benefits for pregnant women with no adverse effects on the fetus. The study by Yadav et al. (2017) indicates that even a short-term yoga-based intervention was effective in reducing CVD risk in subjects at low to moderately high risk. Yoga is an accepted therapy for chronic low back pain (Saper et al., 2017). The speaker for this session is Manu Fotu - Programme Manager, Suicide Prevention: Funding and Planning Team Auckland and Waitemata DHB. Menu will provide a brief overview about the New Zealand suicide rate, the stigma, and suicide postvention from a Pacific perspective. He will be joined by two panel members: Dr Gary Cheung and Patrick Au for the panel discussion. Date: Tuesday 25th September 2018. Time: 6 to 8.30pm. Talk will begin at 6.30pm. Those outside Auckland can join this presentation via webcast or view a recording of the session during the two weeks afterwards. Find out more about this Suicide Postvention – a Pacific Perspective presentation including how to sign up for access to the webcast or recorded session. Please RSVP before 21st September 2018 as limited spaces available. An innovative Waitemata District Health Board's education programme has been recognised at the 2018 Diversity Awards NZ. The eCALD® education programme was announced as joint winner of the Cultural Celebration Award at the ceremony last night. eCALD® was developed at Waitemata DHB’s Institute for Innovation and Improvement (i3) to meet the needs of health professionals working within an increasingly diverse community. It delivers online and face-to-face training across a range of areas including refugees, migrants, disability, mental health and religion to improve understanding – and ultimately – communication with patients. View previous editions of this eCALD newsletter. Subscribe to the eCALD Newsletter. 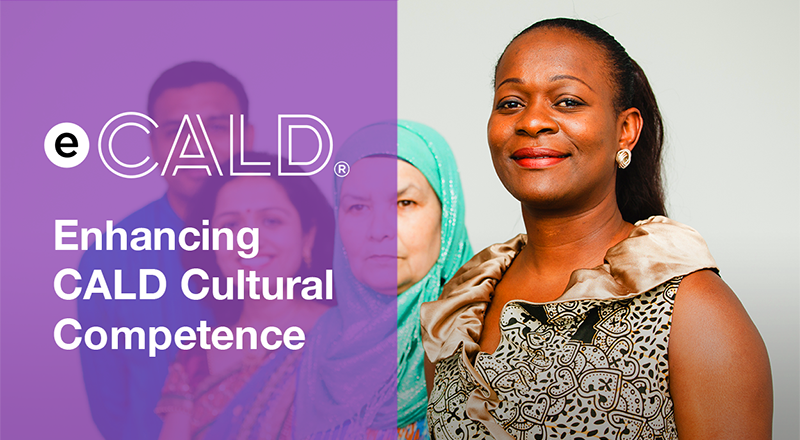 CALD refers to culturally and linguistically diverse groups who are migrants and refugees from Asian, Middle Eastern, Latin American and African (MELAA) backgrounds. This eCALD Newsletter is produced by the eCALD Service at the Waitemata DHB.